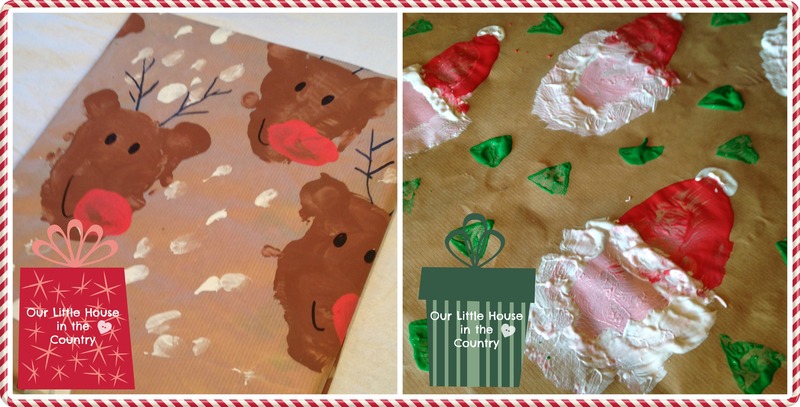 This potato print Reindeer Christmas Wrapping paper is so cute and really easy to make! If you have seen our potato print reindeer Christmas cards then you are well on your way to creating this project! We also made Santa wrapping paper using the same method! For Santa’s hat, cut the potato into a triangle and cut smaller triangles for the Christmas trees! 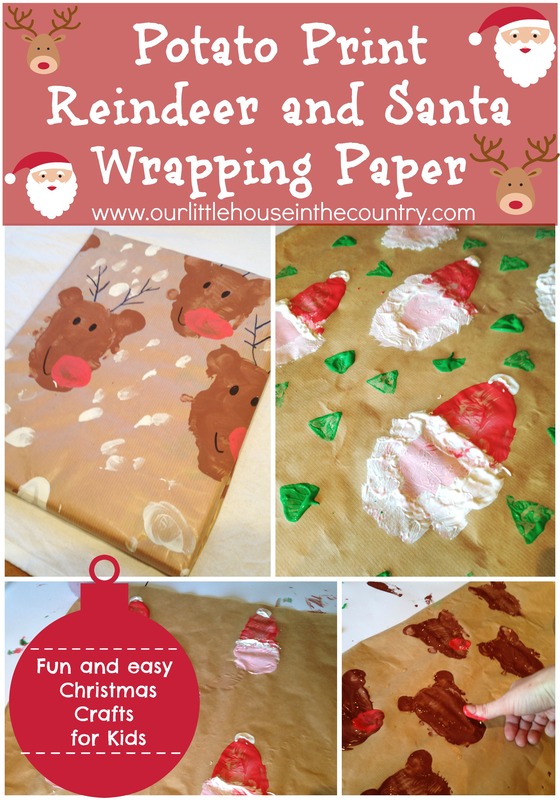 PS My lovely blogging buddy Lindsey, over at 101 Things To Do With Kids has a really fab “Make Your Own Christmas Wrapping Paper”. Why not pop over and take a look and say hello to her! Here’s a sneak peek at her creations! For many more creative and festive ideas check out our Pinterest boards – a winter wonderland of ideas, crafts, activities, recipes and decorating ideas!!! These are darling prints! I’ve pinned them to my December board.